This speech was meant to be delivered on the farewell of Semester VI students of Government Degree College Poonch. However, it could not be delivered due to some unavoidable circumstances. Honourable Principal, Govt. Degree College Poonch, esteemed teachers and my dear friends. I wish you all a very good morning and a great day ahead. It is indeed an occasion of both joy and sorrow. Joy, because this institution has produced another batch of graduates who are going to enter in a myriads of fields to serve the state and society. Nonetheless it's a sad day because after a few days we will all be going to depart, and departures are always painful. As we are all set to leave the institution, we are not just going to leave the library and classrooms but a wonderful faculty and of course the very beautiful friends. Dear friends, we had joined this college some 3 years back, but believe me, it seems that we had entered just a few moments ago. Time flies when we are in a good company. I have already begun to miss all these years, I can't express how much. While writing this speech, I realized that how words fall short of expressing the real emotions. The journey of the last three years have been so amazing, pleasantly, and sometimes unpleasantly too. On the one hand we benefitted from the extraordinary scholarship of our faculty not only inside the classroom but outside too and on the other hand we have been fortunate enough to cultivate friendships with some of the loveliest human beings.It was truly an amazing journey. So I take this moment to thank all the teachers of this college especially my class teachers and I thank all my friends for being there for me. I assure you to stay in touch with you as long as it would be possible. I must have committed many mistakes during this time as to err is human. I therefore apologise if I have ever hurt a teacher or a friend. Still, in spite of all my shortcomings, I have noticed that a few things in this college can better the performance of students and may bring in positive change in their behaviour, forever. This includes a positive and cordial relationship between students and faculty and the other staff. A well furnished and upto date library is the basic requirement for this college, as we all know that educational institutions are known by their libraries. Similarly, other infrastructural facilities may boost the efficiency of our classrooms. Our college administration may kindly pay attention to this side.Once this college has proper infrastructure, it may shine like a star, I believe, because it already has a good and honest teaching staff. To my friends, especially the ones who will be given farewell in 2020, I must say that this institution is yours. Whatever we bring to this institution comes back to us. So let us bring values, discipline and hard work instead of indiscipline, reluctance and chaos. Respect your elders,respect your teachers and respect your friends, it will come back to you but that doesn't mean, you should not be standing for your rights. I thank you all for organising such a wonderful event and for having me on the dice. Once again I thank all my teachers and friends for being there in my thick and thin. Aakhirash Salim, juda ik bar to hona hi tha. 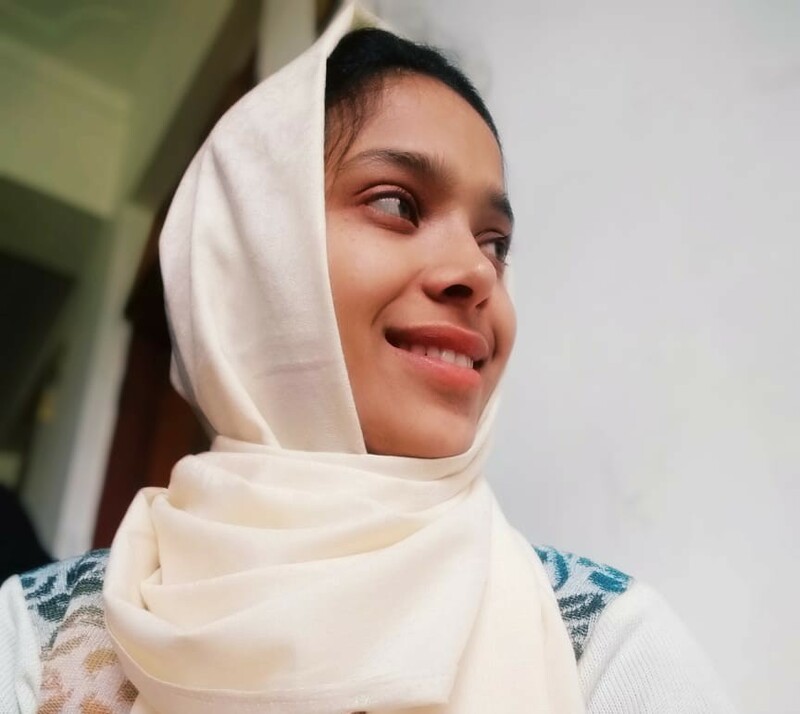 About the Author: Saima Bhatt is an outgoing student of GDC Poonch.